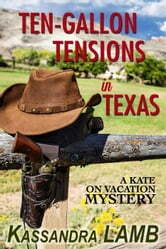 Town secrets, an old nemesis, a corpse–what else will show up at Skip's high school reunion in Texas? Fortunately the town's sheriff is an old buddy of his, but will that keep him from becoming a prime suspect? Trying to uncover the real murderer leads Kate and Skip to uncover long-buried secrets instead, and their names just might end up on the killer's must-die list.